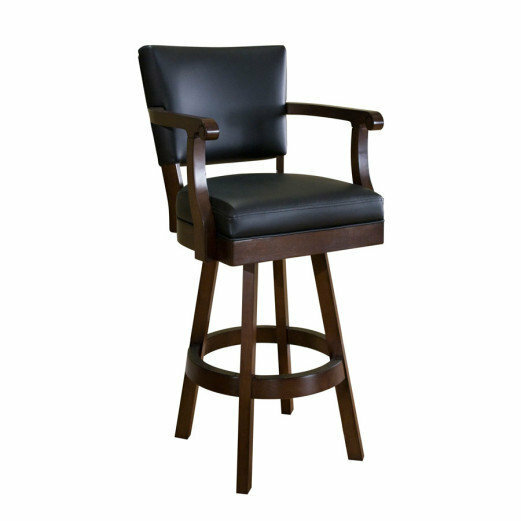 Classic Backed Bar Stool has a simple classic style, great for any kitchen or game room. Upholstered black faux leather, strong and sturdy base frame, this backed stool is built to last. The Classic Backed Barstool complements any pub table or bar around.